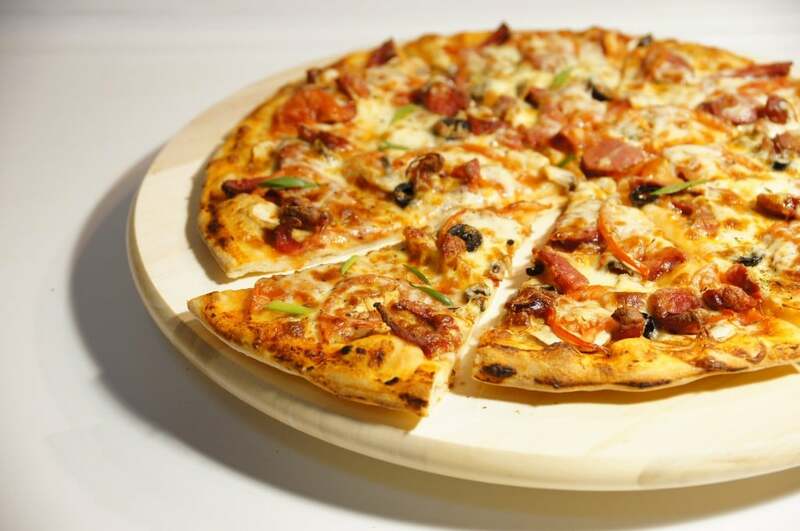 Famous not only for its delicious pizza pies, but also for its fast, professional, and dedicated Pizza Hut delivery service, the company has become a class act of the food market. And that’s true not only of the US version of Pizza Hut, but also of the other Pizza Hut locations throughout the world. The pizza place has 5,139 stores in countries other than the US, and another 6,000 in the US alone. Founded in 1958 by two brothers, with only $600 in start-up money, Pizza Hut quickly became a hit: first, in its hometown of Witchitta, Kansas, subsequently expanding and opening new locations. Eleven years after the company started, it adopted the wildly popular red roof on all of its locations. As you may know, this red roof is now Pizza Hut’s logo. Even more interesting is the fact that this logo is also a reference to one of the stranger pizzas that exist in the world today: the calzone. I know – now you see it too. Fun facts aside, in a constant effort to stay relevant, Pizza Hut started its online delivery service in 1994, when the internet was barely a thing. It then went on to introduce all sorts of wild options: from the traditional mobile apps, to the very successful XBOX app that allowed gamers to order pizza while they were gaming. First, go to order.pizzahut.com. The US version of the Pizza Hut website has all kinds of delicious treats for you. Find what you want to order. Depending on how quick you are to decide, this can take between five minutes and an hour. I’m joking, of course, but the sheer amount of possibilities will make sure that you are busy for at least ten minutes. If you’re lucky and live close to a Pizza Hut, it may be still sizzling when it’s brought to your door. Give Pizza Hut a phone call. After you’ve decided on your order, you have to select how you will place it. There are numerous options to doing so. The first is to give Pizza Hut a call. It’s also the most straightforward way. Order online. You can, alternatively, order your pizza online. This implies that you either create a Pizza Hut account, or that you order as a guest. For the latter option, you have to enter a street, an apartment, and a ZIP code. This way, the website can automatically give you the exact prices for your order. Order via the app. Pizza Hut is always on the cutting edge of technology. That’s why, they now have apps for the iPhone, the iPad, Android devices, as well as Windows Phone devices. All the more convenient. To order via these apps, all you have to do is load up the menu, select your order, enter your location (or let the phone take it automatically) and that’s it! Order while in-game. For the console gamers out there who are partial to Microsoft’s Xbox, you can also order your meal via the dedicated Xbox app. You can find this app in the store (all the Pizza Hut apps are free). The convenience of this app is just huge: you can order your pizza even while playing a video game. 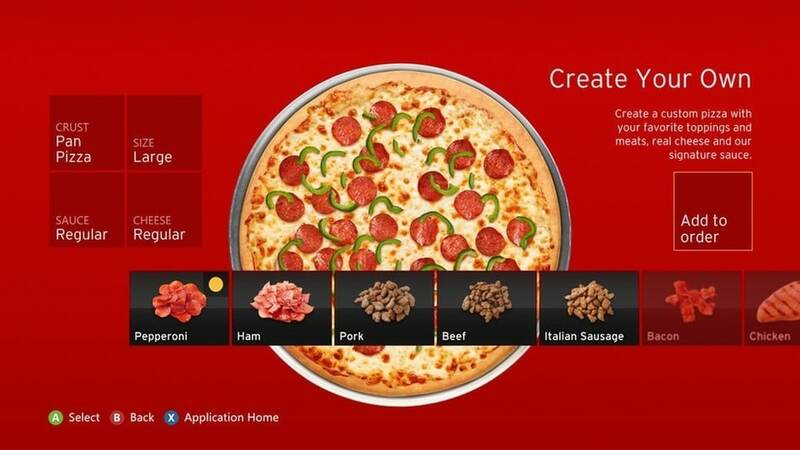 Create your own pizza with the Pizza Hut delivery app. In the United States, the Pizza Hut delivery areas are just one area: the whole map. Provided you don’t live in some far-out, hard-to-reach area, this means all the cities that have a Pizza Hut restaurant (of which there are over 6,000 only in the US). An important detail to remember is that each delivery area may have a different delivery fee. Delivery time is really important for most of you. A fixed schedule can be destroyed by a late order. Not from Pizza Hut. Depending on how far you live from the restaurant making your delivery, you will be given an estimate when placing your order. If you order via phone, they will tell you this estimate. If you order online, you should see the ETA on the order confirmation web page. If you order in an app, the confirmation will be sent to you by mail, and the estimated time will also appear in most apps. The Pizza Hut Delivery fees are set by the individual restaurants making your order. The fees do not differ depending on which type of ordering you choose. Whether you call, use the website, or use any of the apps, the result should be the same. The exact delivery fee for each order will be written on the receipt once the respective order is delivered. Remember that if you change your location, your delivery fee may be a completely different sum. Did you know that Pizza Hut also offers gluten free pizza? Yes, they do! The only downside is that only 2,700 restaurants have it. While that may seem like a lot, it’s below half of the total number of locations they have. Gluten free pizzas are prepared with Udi’s gluten free crusts, and under a procedure certified by the Gluten Intolerance Group. We don’t know if we’ve convinced you to order a pizza from Pizza Hut Delivery with this article. What we do know is that we’ve convinced ourselves and that now we’re anxiously waiting for our large supreme pizza with a cheesy crust. Yummy! If you have any more questions regarding Pizza Hut or other delivery services, please feel free to contact us. You can do that in the comments section here, or via our contact form. Hey Buddy!, I found this information for you: "All You Should Know about Pizza Hut Delivery". Here is the website link: https://all2door.com/know-pizza-hut-delivery/. Thank you.